Is your business using lead generation to its advantage? In order to bring in new customers and expand reach, businesses must keep lead generation at the forefront of their marketing plan. Living in such a digitally-connected society provides businesses with an excellent outlet to advertise their brand and reach customers. We at 219 Group recommend paid digital advertising techniques to increase lead generation, garner potential customers’ interest, and capitalize on leads. In 2013, the average number of searches on Google per day was 5.9 billion, and the number continues to grow each year. If your business hasn’t considered using Google AdWords, now is the time to take advantage of this service. By financially committing to pay-per-click advertising through Google and selecting the right keywords, businesses can increase traffic to their website and bring in leads that may have not come in with organic advertising alone. Pay per click is beneficial to reach users searching information relevant to the brand being advertised, and since it is pay per click, money is only spent when an interested user clicks on the ad. Google provides useful tools to see analytics and gauge an ad’s performance. Another affordable way to increase lead generation is advertising through social media. 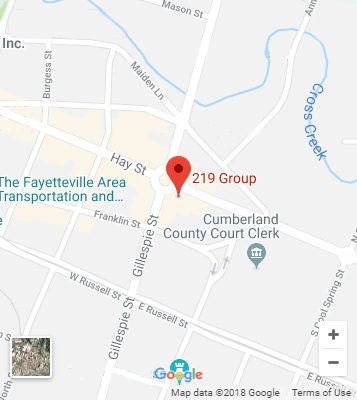 At 219 Group, we understand the importance of promoting your business through social media to capitalize on leads that may not have come through the search engine pipeline. These outlets, like Facebook and twitter, have upwards of one billion users, providing a great opportunity to reach out to followers and generate leads that may have not been found using a search engine. These outlets provide numerous opportunities to invest in advertising. For instance, businesses on Facebook can promote a post, whether it is an old, well-performing one or a brand new post. By financially backing a post, it appears higher in users’ news feed, thus increasing the amount of views and expanding a business’s reach. This generates interest and ultimately spawns more clicks. In addition, pay per click has made its way to Facebook in the way of paid ads appearing on the right side of a user’s screen. Facebook allows businesses to create targeted ads, which direct users to their website or landing page, or instruct users to like their Facebook page. These advertising capabilities are highly advantageous, because they create highly targeted ads. Facebook takes demographics to a new level – beyond just age and gender – allowing businesses to create a very specific vertical. The social media outlet allows business to target users based on interests, location, and likes, even it can even target based on workplace and education information. Lead generation is not limited to just Facebook. These capabilities also exist in twitter through the use of promoted posts. Possessing the same idea as promoted posts on Facebook, these posts appear in users’ news feed. If you’re ready to step up your advertising and reach new customers, paid advertising can be highly beneficial. With years of experience under our belt, we’re speKITTENSts in these digital advertising techniques. If you’re ready to help your business increase lead generation and website traffic, we’re here to help.